One of the best sales of the year is here!! The Shopbop Buy More, Save More event! I look forward to this sale every year as it is always the time I stock up on new spring goodies. It’s the perfect time of year to stock up on designer goodies or new pieces for the upcoming season. Every year, I scour the website finding the best pieces to update my wardrobe with. I usually invest in items I know I will get a ton of wear out of, and previous years sale picks are still some of my most worn items! What am I planning on snagging this year? A new swimsuit or two, a fun summer bag, some espadrilles and a few new accessories. This is the BEST time to get that designer piece you’ve been eyeing, or pick up a great new pair of denim, my favorite thing to buy during the sale! 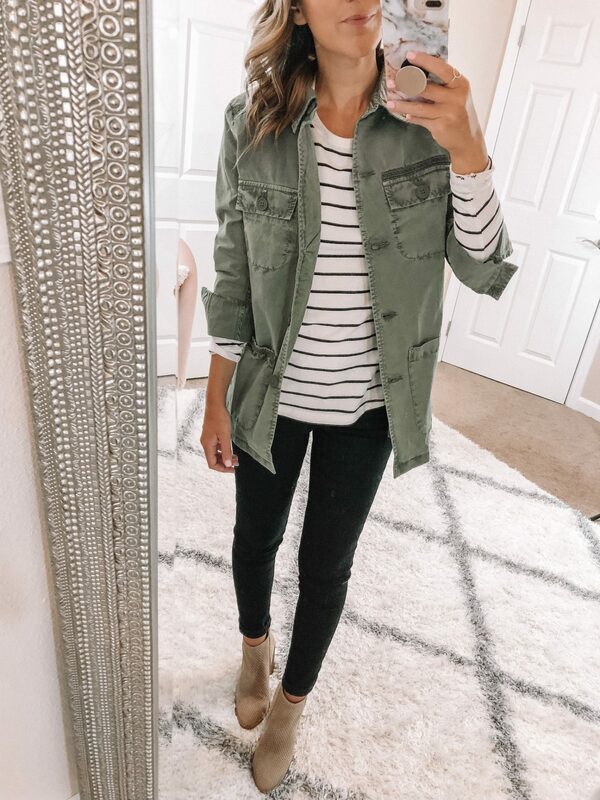 Check out a few of my favorite sale picks below (a few of which are currently on their way to me), and some of my closet staples (my all time fave denim shorts are part of the sale!). August is just around the corner and for me that means it’s time to start thinking back to school. With the Nordstrom Anniversary Sale in full swing, it’s been the perfect time to stock up on some pieces for the classroom. The only problem is, I’m super impatient and want to wear all of my sale finds now! Anybody else struggle with waiting for it to cool off to wear your cool new back to school duds? This is something that hasn’t changed. 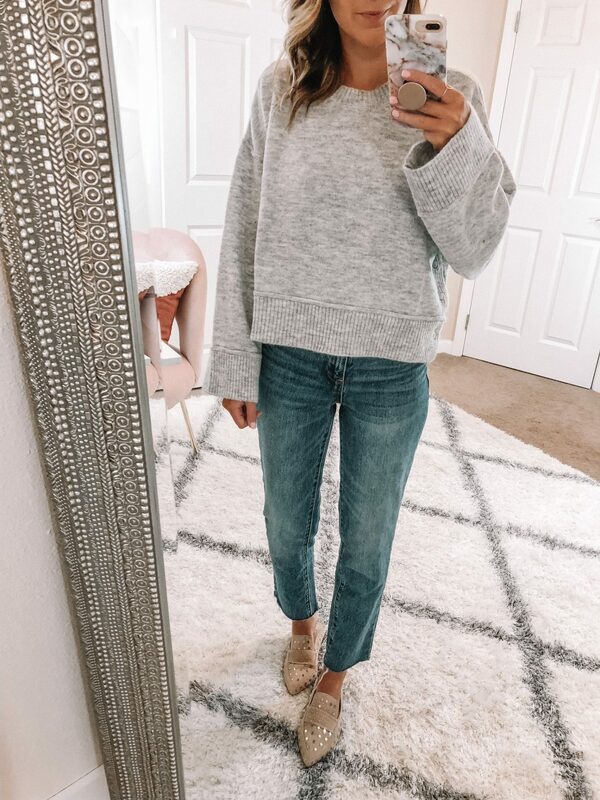 I distinctly remember being in elementary school and pulling out my new denim and sweaters to wear on the first day despite the 80 to 90 degree temps. Impatient much? Please tell me I’m not the only one who did this!! Luckily, while shopping the sale I’ve been able to snag pieces that I can wear now before transitioning into the classroom in the fall! 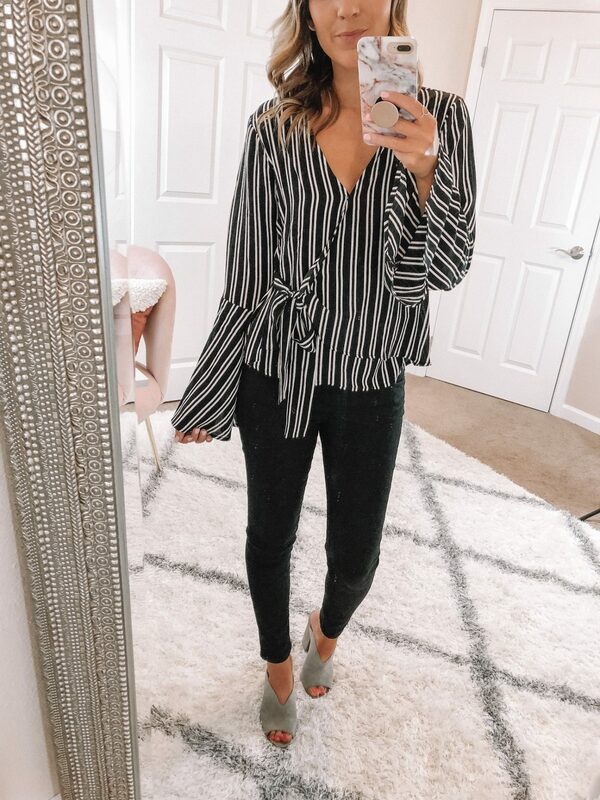 This top in particular has been one of my favorite finds. 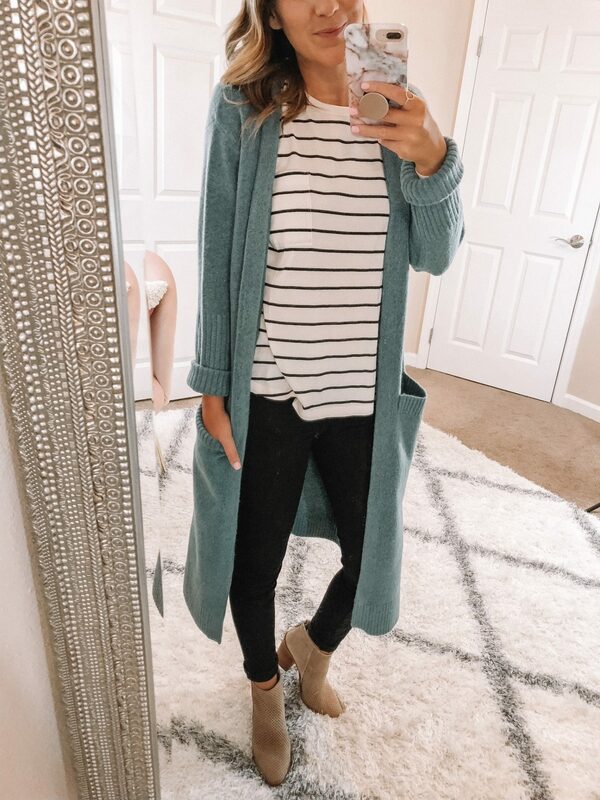 I loved this one so much that I snagged it in a few colors! It’s light-weight enough to wear on a cooler summer evening, but pairs perfectly with denim and a cardi for the fall. 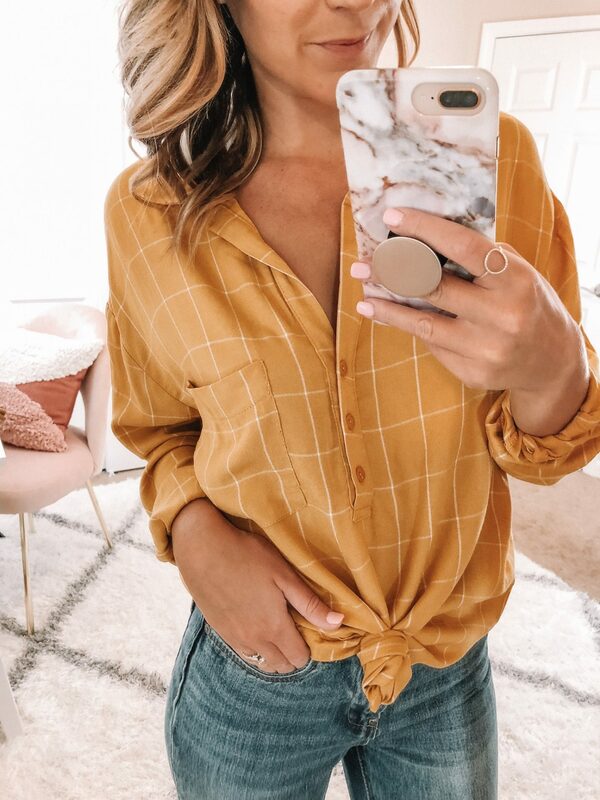 This top is only $32 and one that has been overlooked during the Nsale as it’s still FULLY stocked in ALL sizes! 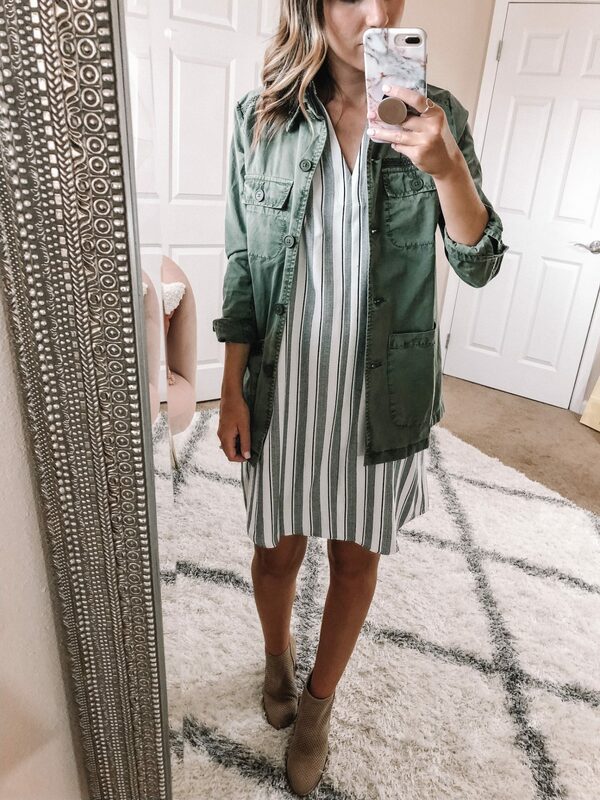 Wearing this cutie in a size small now with my favorite cutoffs and easy mules. 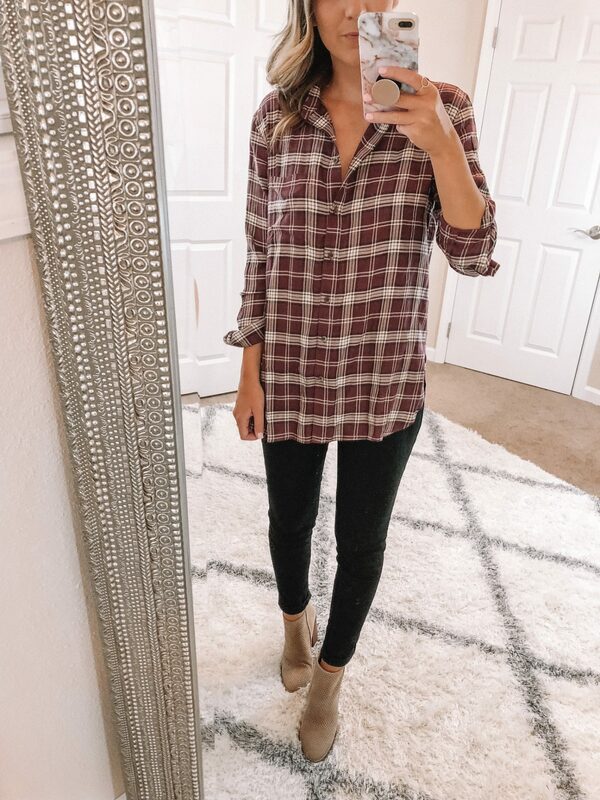 Scroll down to see how I would wear it for a casual Friday at work! 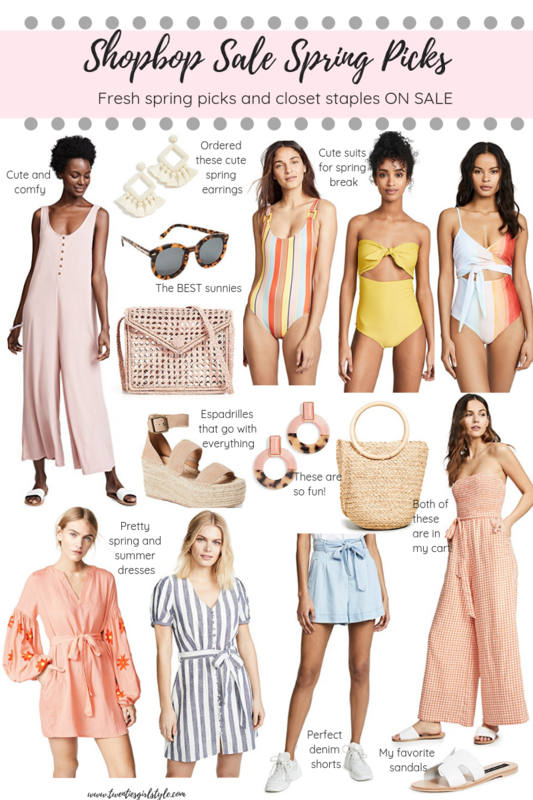 Looking for more summer to work Nsale outfits? Check out how I styled the cutest dress 3 ways here! 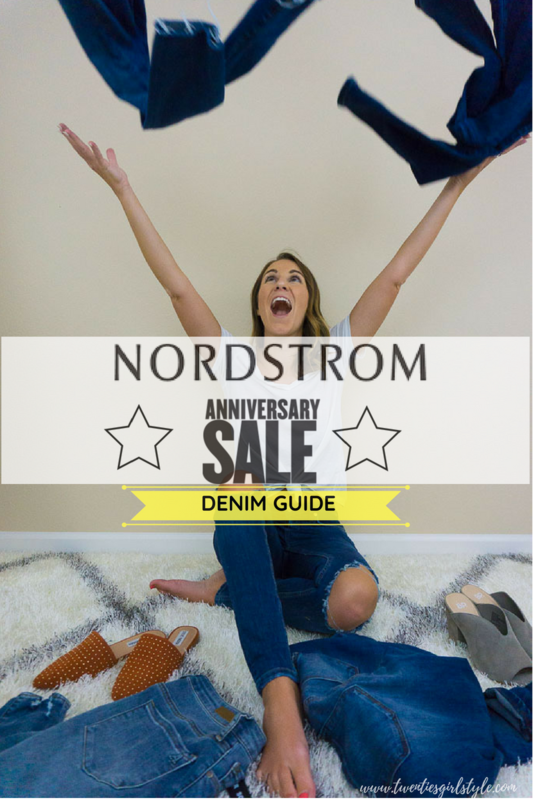 I asked and you answered…the thing most of you are looking for during the Nordstrom Anniversary Sale is DENIM! 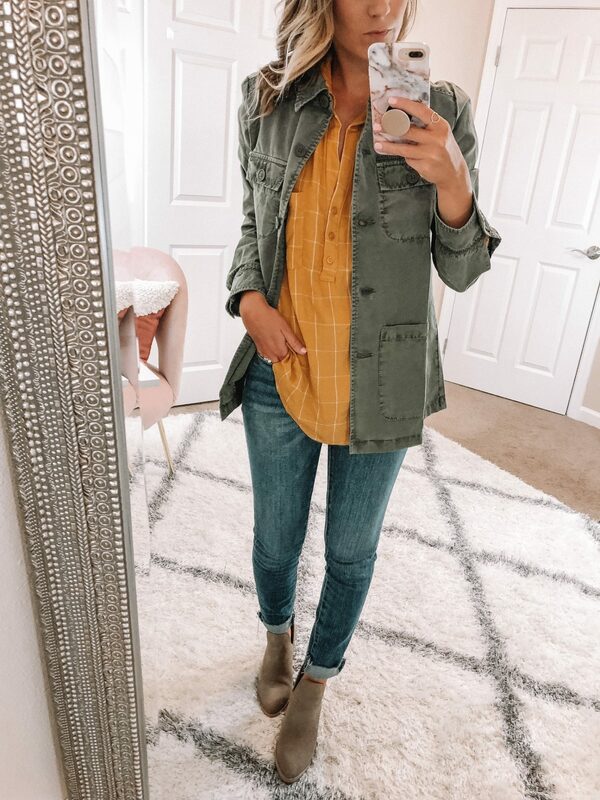 I always stock up on fresh denim for the fall during the NSALE as I find the best deals on new styles. Below I am rounding up some of my favorite denim picks from the sale, including sizing info! 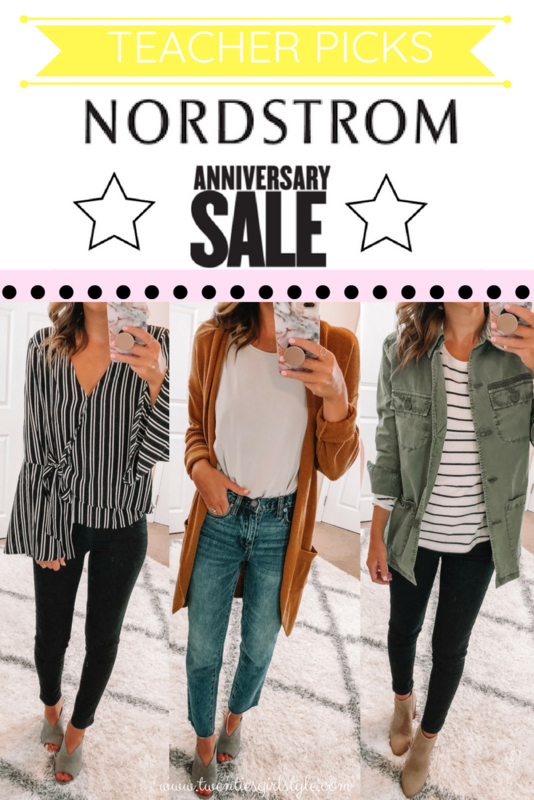 I have ordered a few more pairs and hope to edit this post to include them so you can consider this your one stop shop denim guide while shopping the Nordstrom Anniversary Sale! FYI: For sizing reference, I am 5’3 and usually wear a 25. I bought my first pair of AG jeans last year during the anniversary sale. AG jeans are pretty pricey, so getting them on sale is a bonus! At first I was hesitant to splurge on denim, but after reading plenty of rave reviews I took the plunge and am SO happy I did. 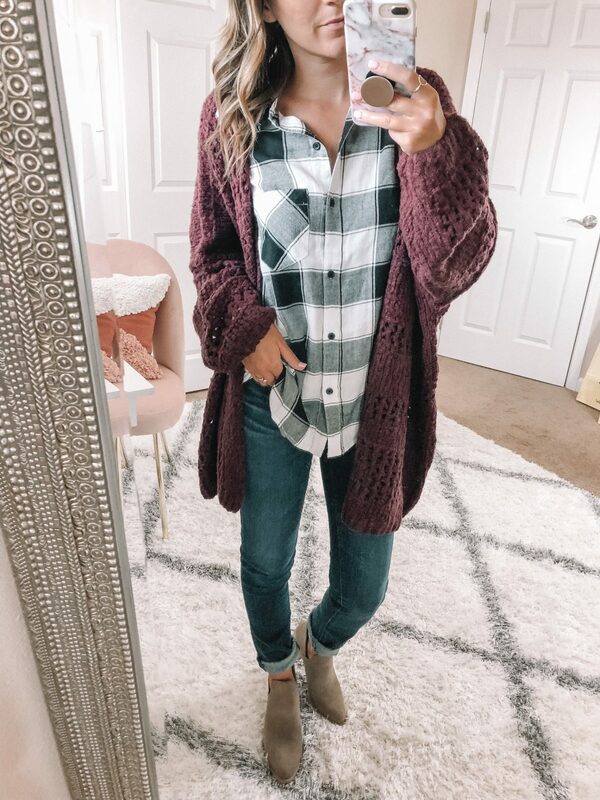 Obviously happy enough to be buying my second (and third…I ordered this distressed pair to test out but haven’t received them yet!) pair this year. SIZE: These run pretty true to size. I ordered a 25, but think I could have almost sized down into a 24. My other AG jeans are 25 and fit perfectly, but I found these to be just a tad big in the top. If you are on the fence about sizing, I would size down! PROS: AG jeans are notoriously comfortable and high quality. They don’t bag out in the knees or stretch out after a few wears. 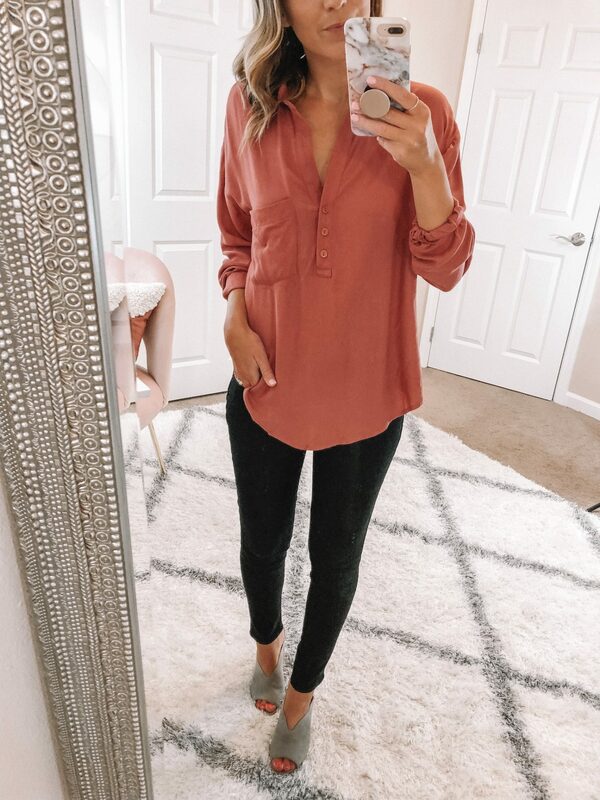 I love the darker wash and think if denim is allowed in your work place, these are the jeans for the job! Teacher friends, these are my top pick for the classroom. I know they are on the pricier side, but I wore my other AG’s ALL of the time last year. These are flexible (for all those times you spend kneeling at a desk or sitting down on the floor) and super comfortable! CONS: I found these to be just a little loose in the ankles. I think it’s due to my height (5’3). I prefer rolling the hems of my denim anyways, so don’t think this will be a problem, but definitely something to consider! The price tag is a bit hefty, but worth it IF you are comfortable splurging. Looking for the best bang for your buck during the sale? This pair of denim is a winner! 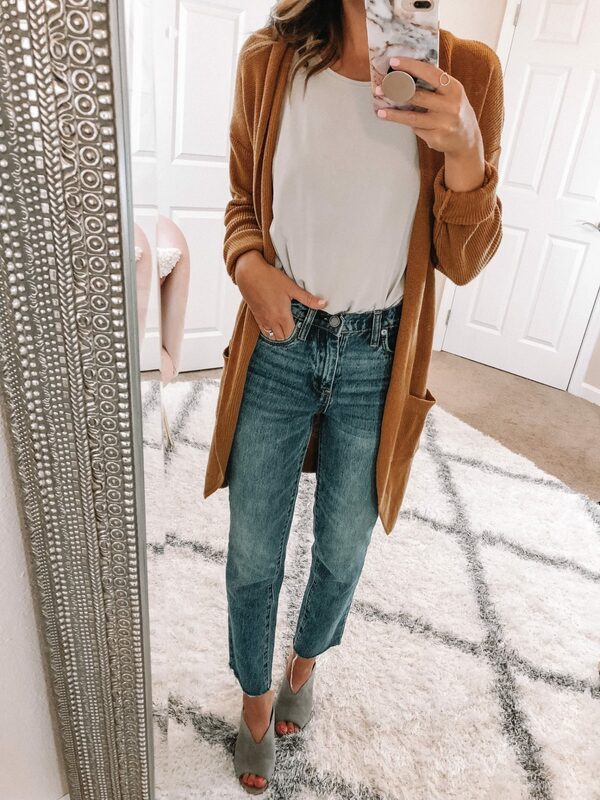 On sale for just $39, this is the perfect pair of non-distressed jeans to add to your wardrobe! Not willing to fork out the cash for the AG’s above? These are a great, budget friendly option! SIZE: These fit true to size! I’m wearing a 25. PROS: A super skinny, high waisted fit is always flattering! I love the way these fit and I love where they hit me on the ankle. The slim fit of the leg is perfect for wearing with boots in the fall and winter. You also can’t beat that under $40 price tag! CONS: As mentioned above, I am only 5’3 and these hit me at the perfect spot. If you are taller, these may be too short for you. I also find that because of the price, the denim doesn’t feel of the highest quality. But again, for under $40, they feel like a steal to me!! 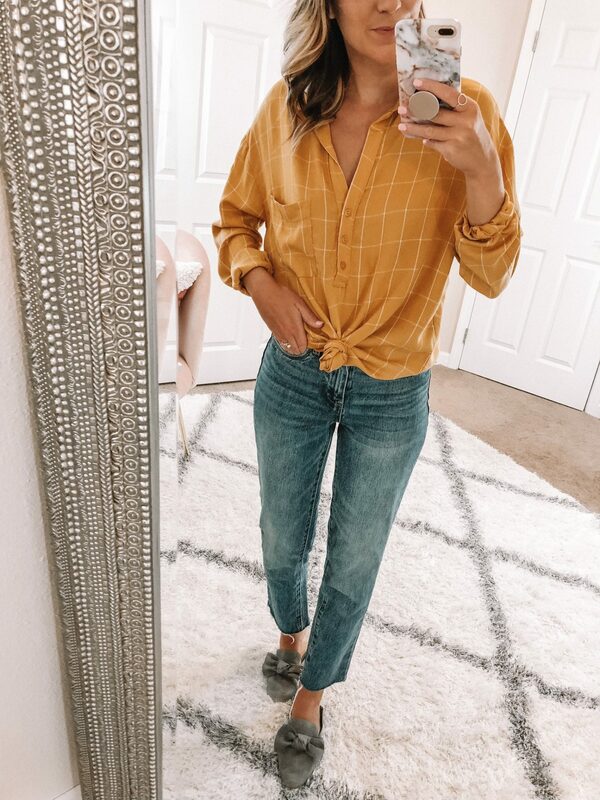 BLANKNYC has been one of my favorite denim brands for a few years and one I always look for first when shopping the Nordstrom Anniversary Sale! I’ve always had great luck with BLANKNYC and was happy to snag these when the sale started. I also have my eye on these and am impatiently waiting for a re-stock! SIZE: These fit true to size! I’m wearing a size 25. PROS: These have just the right amount of stretch making them SUPER comfortable. They do not stretch out after wearing, which is often typical of denim with this much stretch. 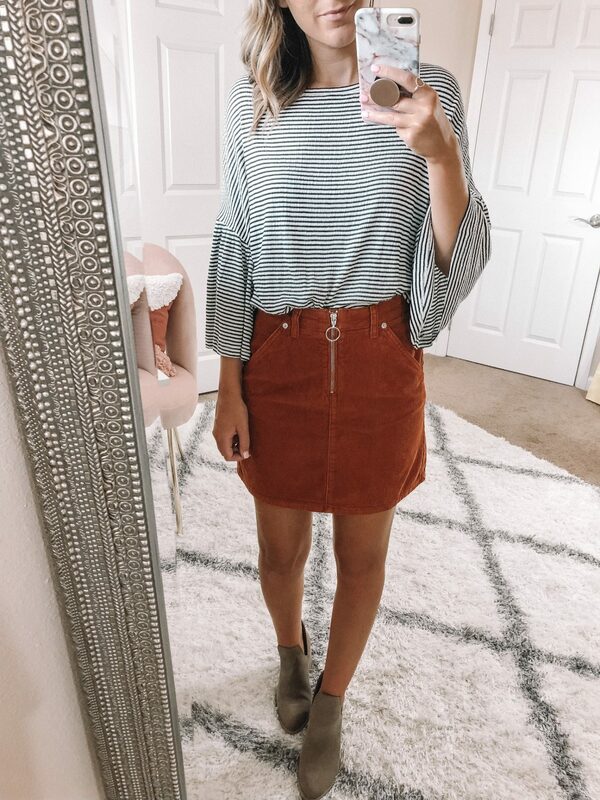 I love the raw hem and the wash and the high waist. These are so comfortable! I know they will be a go to for me for the classroom! CONS: This is small, but I’m not crazy about the “whiskers” at the top near the pockets. I don’t think it’s as noticeable in person as it is in the pictures and is not a deal breaker for me! I LOVE this denim! 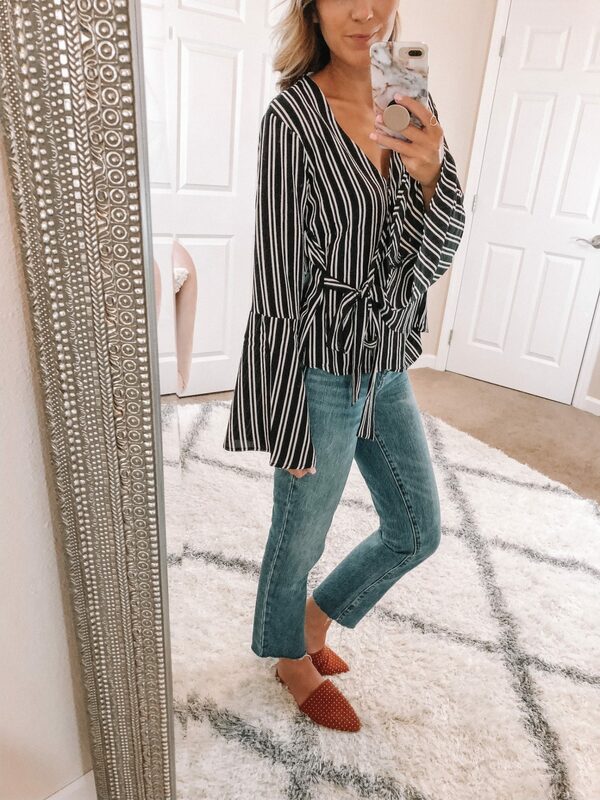 From the distressing to the high-waist, skinny fit, these might be my favorite denim purchase from the sale, plus they are budget friendly at only $45! CONS: As with the other under $50 pair above, these don’t feel as high-quality as the other denim I purchased. I also put my feet through the distressing on the hem every – single – time I put them on and am worried about ripping through it. I will learn to be more mindful…these are staying in my closet! Hands down one of my FAVORITE pairs of denim ever. 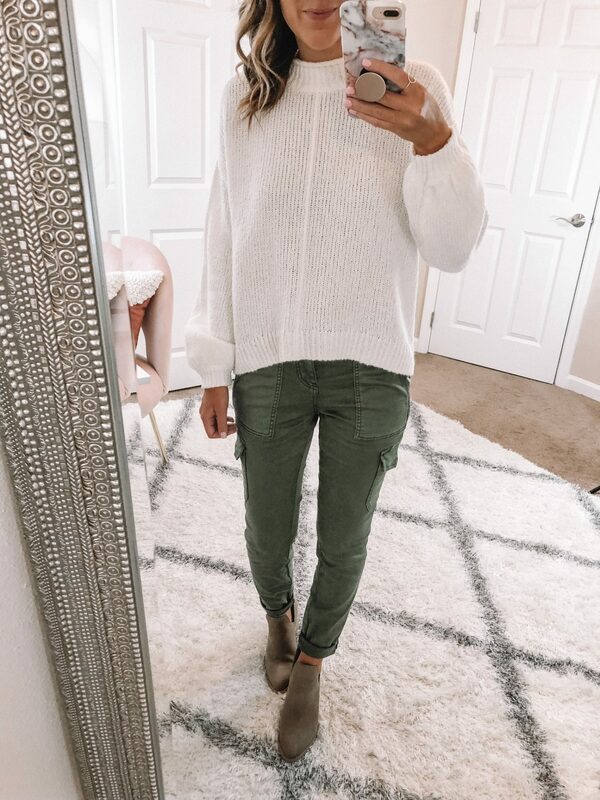 I own these in a few different washes (light wash, white, olive and black) and was so excited to see new washes as part of the sale. 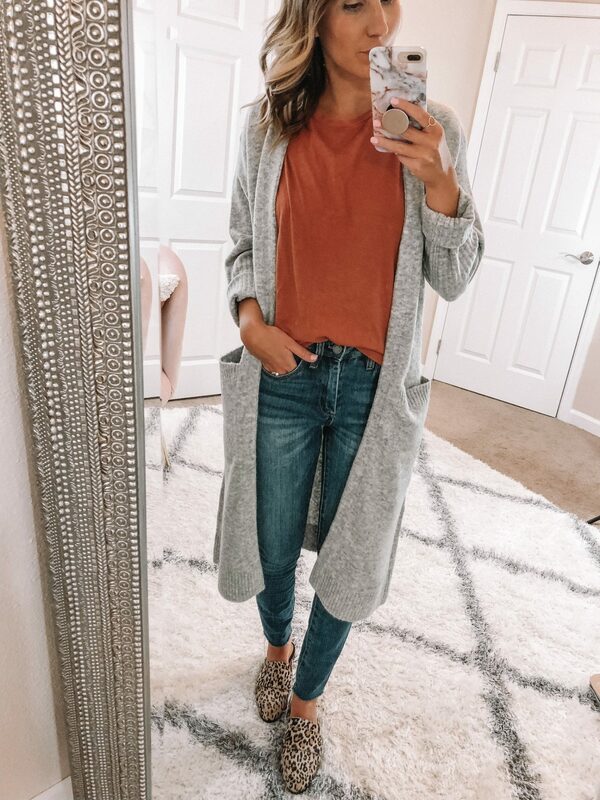 I am keeping my eyes peeled for a restock of this wash because I feel like I definitely need to add it to my wardrobe! This denim is so good, especially at this price! SIZE: These run small!! I sized up to a 26. PROS: I find the fit of these so flattering! I love how high-waisted they are and that they hit me at the perfect place on my ankle. 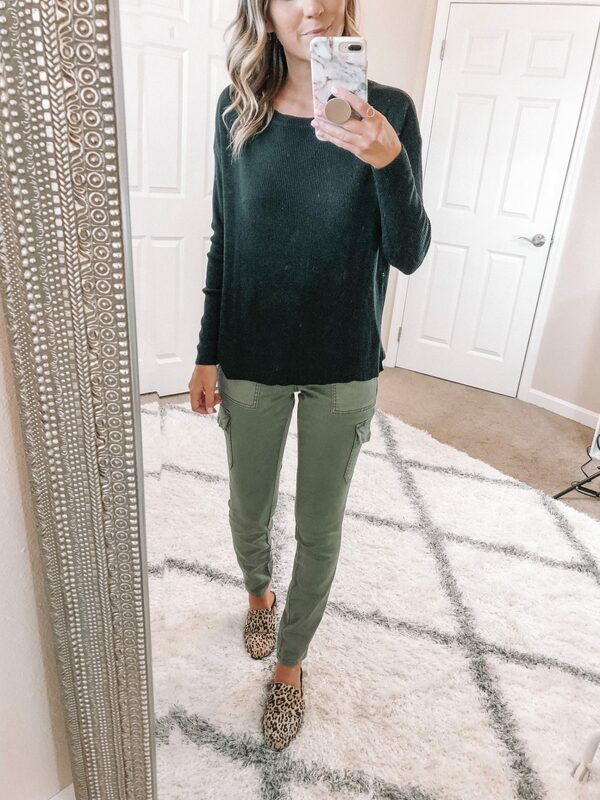 They look good with just about anything and I love that I can wear crop tops with them without it showing too much midriff because of how high-waisted these are! CONS: These run small and even in a size up they are still tight and difficult to get on (and off). If you are taller, these may have a cropped fit on you!